The University of Alaska Fairbanks has announced recipients of the 2015 Emil Usibelli Distinguished Teaching, Research and Service Awards. David Newman, professor of physics, received the teaching award; Hajo Eicken, professor of geophysics, received the research award; and Pat Holloway, professor of horticulture, received the service award. All three will be honored at a reception this fall. Newman joined the UAF faculty in 1998, after working for five years as a Wigner Fellow and then research scientist at the Oak Ridge National Laboratory. He teaches courses across the physics curriculum, from introductory courses for non-majors to specialized graduate-level courses and seminars, consistently earning high marks in student evaluations, even in introductory courses. He serves as an advisor and mentor to undergraduate and graduate students. The student who nominated Newman, Joyce Dustin Demientieff, is a national board-certified teacher who returned to UAF to study engineering after teaching for 25 years. In addition to encouraging questions and interaction, even in large classes, Newman is an advocate for using technology to enhance students’ access to education. He records his lectures and homework and review sessions and makes them available to students for review, and requires a web project in all classes. He encourages graduate students to write blogs and to record their work, which teaches them to explain their science clearly to non-scientists. Newman has a bachelor’s degree in physics and mathematics from the University of Pittsburgh and a doctorate in physics from the University of Wisconsin-Madison. Eicken arrived at UAF in 1998, after 10 years as a student and researcher at the Alfred Wegener Institute in Germany. His recent work focuses on Arctic sea ice in the context of a changing Arctic and global climate. The research addresses both scientific questions and the needs of diverse groups of people and industries in the Arctic. Eicken serves as interim director of UAF’s International Arctic Research Center. In addition to his excellence as a researcher, Eicken’s colleagues, in their letters of support, noted his skill at working across disciplines to advance both the public’s and the scientific community’s understanding of the Arctic. He places a high priority on educating students and the public, and has been an advocate for incorporating the knowledge of indigenous people into the scientific process. Eicken has a degree in mineralogy from the Technical University of Clausthal in Germany and a doctorate in natural sciences from the University of Bremen in Germany. Holloway first came to UAF in 1975 as a research aide at what was then the Agricultural Experiment Station. After a three-year stint at the University of Minnesota, she returned to UAF in 1982 as a lecturer and instructor. 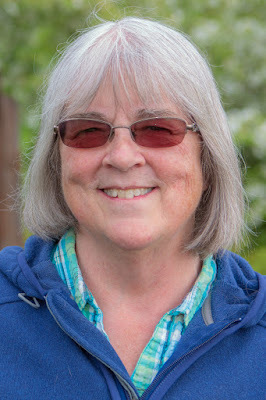 She is best known for two projects that have made their mark on the community and the state: The Georgeson Botanical Garden and Alaska’s peony industry. When Holloway first inherited what would eventually become the Georgeson Botanical Garden, it was an unlabeled and unnamed research program within the Agricultural and Forestry Experiment Station. It was not well connected to the public, she recalls, except for a one-day open house every year. Over the years, Holloway and a plethora of volunteers and colleagues developed the research plots into one of Fairbanks’ most-visited attractions and a center for numerous public outreach and education experiences. Holloway approached her peony work with the same initiative. Holloway learned that peonies, a popular wedding flower, were in bloom in Alaska during July, which was “out of season” everywhere else in the world. “Of course, I pounced on that idea, made some phone calls, set up a peony trial and reinvented myself into a flower researcher,” she said. Holloway planted her first trial peonies at the Georgeson Botanical Garden in 2001. Her foresight paid off. Today, Alaska is home to more than 100 peony growers. In 2013, more than 32,000 peonies were exported from Alaska, and the industry is expected to continue its rapid growth. Holloway has a bachelor’s degree in biology from Millersville University of Pennsylvania, a master’s degree in horticulture from Washington State University and a doctorate in horticulture from the University of Minnesota. The Emil Usibelli Distinguished Teaching, Research and Service Awards are considered one of the university’s most prestigious awards. They represent UAF’s tripartite mission and are funded annually from a $600,000 endowment established by Usibelli Coal Mine in 1992. Each year, a committee that includes members from the faculty, the student body and a member of the UA Foundation Board of Trustees evaluates the nominees. Each winner receives a cash award of $10,000.